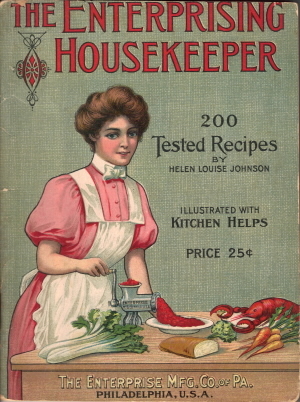 Here is page 78 from the vintage booklet The Enterprising Housekeeper from the sixth edition (1906). There is no one thing which, in cases of protracted illness or in imperfect nutrition, has to be served more often than beef juice. Beef juice is not beef tea, for the latter is weakened by the ad-mixture of water, while the former is the pure and simple juice of the beef–nourishment in one of its most concentrated forms. 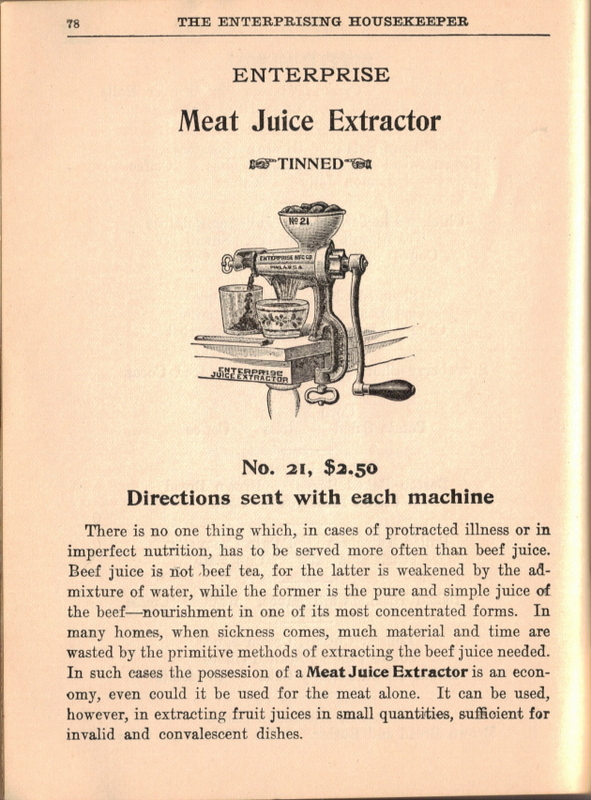 In many homes, when sickness comes, much material and time are wasted by the primitive methods of extracting the beef juice needed. 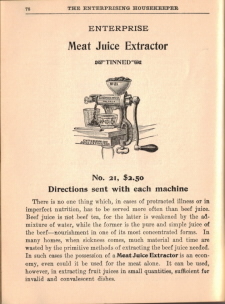 In such cases the possession of a Meat Juice Extractor is an economy, even could it be used for the meat alone. 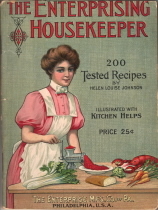 It can be used, however, in extracting fruit juices in small quantities, sufficient for invalid and convalescent dishes. Thsi is so much fun to see- my husband’s family was the Seltzer Family- owners and inventors of Enterprise MAnufacturing!